We would not be able to maintain and grow our business if it weren’t for customer referrals. We want to give you something in return for your loyalty as a way of showing just how much we appreciate you. Whenever we complete each service call/installation, we provide our customers with a number of New Customer Gif Cards. If a new customer uses one of those gift cards for service or maintenance on an existing system, the new customer will be rewarded with $25 off of their first invoice. On top of that, the referring customer will be rewarded with a $25 Visa Gift Card. It’s our little way of saying thank you. Contact us to mail the gift card to you. If a new customer uses a referral card for a complete system installation, the new customer is rewarded with up to $250 off their purchases. Similarly, the referring customer will be rewarded with a $250 Visa Gift Card. Contact us to mail the gift card to you. *Restrictions may apply. Contact us for details. 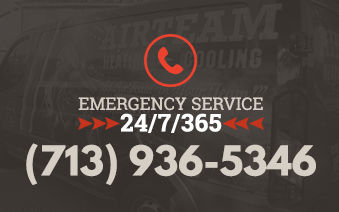 Customer and Referrals must reside within AIRTEAM’s service area. We understand that you might not have a gift card on hand at all times. So, we allow current customers to make a referral on our website and receive THE SAME $25/$250 benefits that we talked about above.